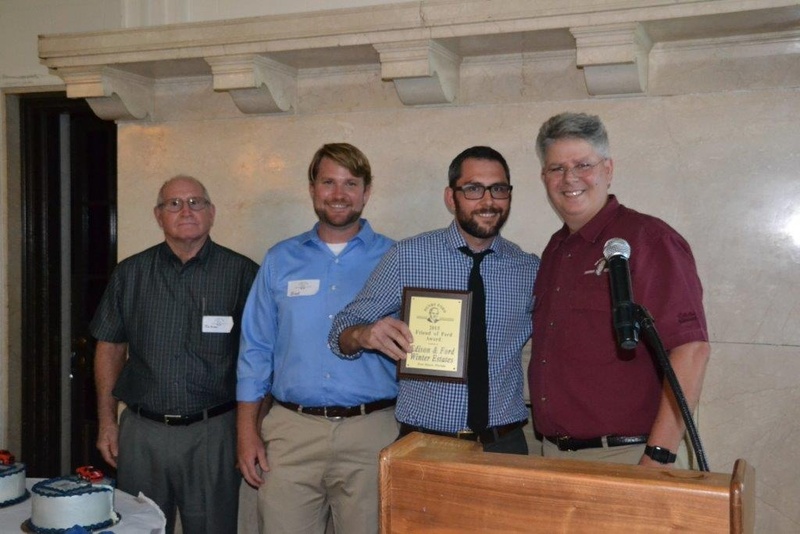 Edison Ford received an award for work to promote The Henry Ford Legacy and preserve the Fort Myers Ford Estate. Chief Curator Mike Cosden, Assistant Curator Brent Newman, and Automotive Curator James Moss traveled to Henry and Clara Ford’s Historic Estate, Fair Lane, and to Greenfield Village and The Henry Ford Museum. While in Michigan, they undertook research and received the coveted “Friend of Ford Award” from the Henry Ford Heritage Association for their work to preserve the Florida Ford Estate and in recognition of ongoing projects like the new quadricycle, which they are building this year. Curatorial Staff are pictured with the award and Henry Ford Heritage Association Treasurer, Mark Campbell.